Marketing is a well known factor when it comes to the success of a business. It creates a unique brand for your business that allows you to build customer loyalty as well as to advertise to new potential customers. One of the most effective methods of marketing is “word of mouth” advertising. This revolves around ensuring that your existing customers are extremely satisfied so that they start recommending your business to the people they know. This effectively allows for the exponential growth of your company for little to no extra costs. With the introduction of the internet and online marketing, viral marketing has become appealing for many business owners. Viral marketing is essentially the electronic equivalent of “word of mouth”; however it can prove much more effective in generating interest in your company since it has a much wider reach. Now, let us venture into the world of internet viral marketing. The Viral marketing definition is a form of trend setting that aims to generate interest in your business via the internet. It aims to generate content that creates interest and causes its viewers to talk about it. Ultimately spreading “word of mouth” viral advertising about your business in order to reach all potential customers. This is especially effective due to the wide reach of the internet causing your business to be known globally, making it one of the best online marketing solutions. Generally, a viral video is not centered around your business. However through smart placement of your logo or products will allow your business to benefit from the popularity that the video gains without seeming too commercial which customers tend to dislike. To your business, social media is the ideal medium to generate traffic for your business through interacting with the customers. To begin with, potential customers may be engaged through posting informative content on your social media pages. Furthermore, engaging content such as competition or promotions can be hosted specifically on social media. Another great way to go viral is through the creation of written articles. These articles should be relevant to the current trends and should aim to answer questions that the general public is talking about. This is one of the simplest methods of viral marketing as all it requires is that your business writes about relevant topics. This should already be happening if you are doing proper keyword research. Furthermore, by implementing proper SEO techniques, your chances at going viral rise exponentially. This is why it is important to make sure that your articles are properly streamlines and that you include several internal links in order to direct this massive traffic into more articles on your website. It is often recommended that your content should engage the viewer. This serves two purposes. The first being that an engaged customer is much more likely to return to your business because of the satisfaction of being relevant. This builds customer loyalty for your brand. Second, engagement is often on social media which means that others will see these engagement, generating interest in your business. With enough people doing it, your business could go viral. Engagement can be in the form of asking the audience questions that they may discuss, or promotions that encourage customers to share your business. This is quite effective as it leaves the customers satisfied. When you are trying to go viral, it is often wise to attempt all these previously stated methods. In fact, they all compliment each other quite nicely allowing for a much more engaging brand that will cause you potential customers to choose you over the competition. Now, let us observe some stories of viral campaign successes. This silly contraption that offers little to no practical use was McDonald’s take on viral marketing. Their advertisement of this new invention generated a lot of online discussion which ultimately generated even more business for this. This is a good example of a unique idea that only had the purpose of generating traffic for the business. Through the smart use of social media, Lay’s were able to generate massive amount of traffic for their business. They asked the public to suggest a new flavor via social media. 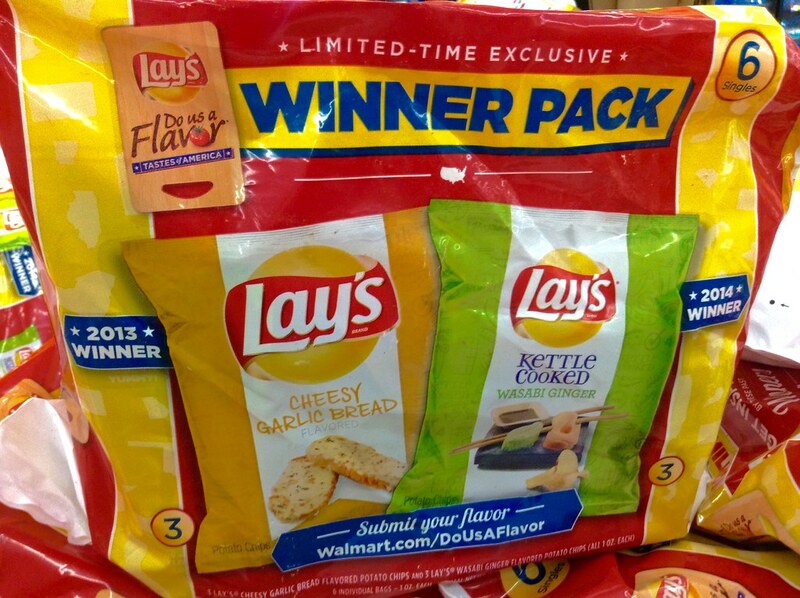 Accompanied with a few creative videos about some of the most unique flavor, lay’s was the talking subject of everyone which caused it to trend on almost all social media sites. There were almost 4 million votes by consumers. Furthermore, this campaign boosted their brand image by showing customers that the company cares about the opinion and it engaged new potential customers by the promise of the person that chooses the winning flavor gets 1% of all sales made for that flavor. GoPro is a company that prides itself on their high quality cameras that are super portable and almost indestructible. They realized that there is nothing better thank customers marketing the products for them. That is why they are featuring some of the best customer created videos on their site and social media. These are often videos of trendy sports or adventures. However, one particular video caught the eye of the public. It was this video of the fire fighter with a GoPro attached to his helmet saving a kitten. This video evoked emotions in many and it’s upload on the official GoPro YouTube has reached over 5 million views. This was a perfect example of how the GoPro allows you to truly capture the moment and there is no doubt that it has convinced many to purchase their own.